Fraud Squad is a crime and drama television series originating from the United Kingdom. The series follows Detective Inspector Gamble (played by the Irish Patrick O’Connell), and Detective Sergeant Vicky Hicks (played by Joanna van Gyseghem). 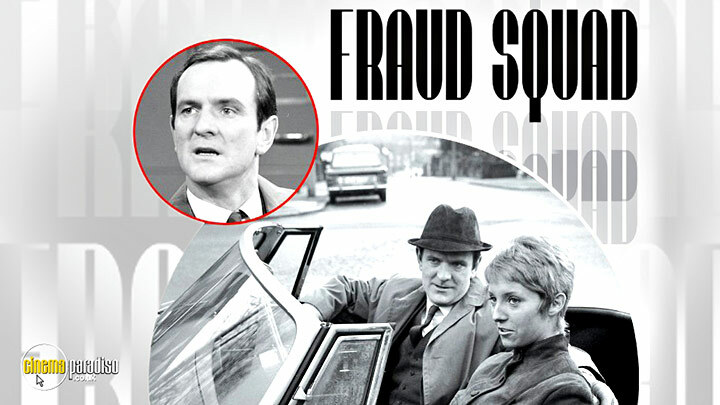 Created in the 1960s, these detectives struggle to keep their personal lives in check while striving to eradicate all kinds of fraudsters in London society. The series features special guest stars including Michael Gambon, and Andrew Sachs. Patrick O'Connell, Joanna Van Gyseghem, Harold Bennett, Ken Camroux, Timothy Carlton, John Carlin, Aubrey Danvers-Walker, Anton Darby, Candida Fawsitt, Rupert Davies, Noel Johnson, Derek Fowlds, Colin Gordon, Tom Macaulay, Richard Hampton, Arthur Hewlett, et al. A highly popular police procedural drama from the turn of the '70s and notable as one of the earliest British television dramas to feature a female detective in a leading role Fraud Squad features the work of Detective Inspector Gamble and his aide, Detective Sergeant Vicky Hicks: Metropolitan officers on the trail of the con-men and fraudsters who operate at all levels of society. Featuring guest appearances by Richard Vernon, George Baker, Dandy Nichols and Maigret star Rupert Davies among others, this second series showcases a further 13 episodes in which Gamble and Hicks hunt down the sharks and sometimes the minnows inhabiting the murky world of international fraud. Originally made in colour, only two episodes still exist in this state the remaining eleven are brand-new transfers from the monochrome telerecordings made for overseas sales.